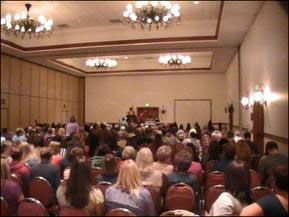 The world's only Celebrity Master Clairvoyant Medium sold-out every week in every city in the Unites States. Find your Soul-Mate, Life Purpose and spot-on Health Scan with solutions. Guides, Archangels, Ascended Masters, and crossed-over loved one's appear and relay messages directly to you. Christian is the world's top Psychic Medium on the #1 rated "Coast to Coast AM" as well as his own television show called "Messenger." What he does is work with your Guides and Higher Self to give you the information. He is also a Clairvoyant Medical Intuitive, 1 of only 2 people in the world that can literally see inside the body - Spot-on! He is also different from others, in that, he does not use any tools or devices - so NO tarot cards, palm reading or pendulums. Instead, he is a Clairvoyant Medium so minute you sit down he sees your crossed-over family, standing behind you, Guides and Archangel and delivers messages from them to you. Anytime during the session you can ask questions. If not, he is very fast and will continue to give you information, sometimes answering your questions before you ask them. He is the only one sold-out every weekend and also digitally records the session for you so you can listen to the enormous layers of in-depth information. Christian does all of the work - you just sit-back, relax and enjoy the session. He does not ask you questions when you first sit down - he just goes into it - which is extremely rare. His Specialties are "Relationship Issues"/"Finding Your Soul-Mate" with detailed information including Names, Dates, Places, Where to Be and How to Prepare, "Career/Life Purpose," the optional "Health Scan," as well as "Relocation"/"Legal"/"Children" focuses.